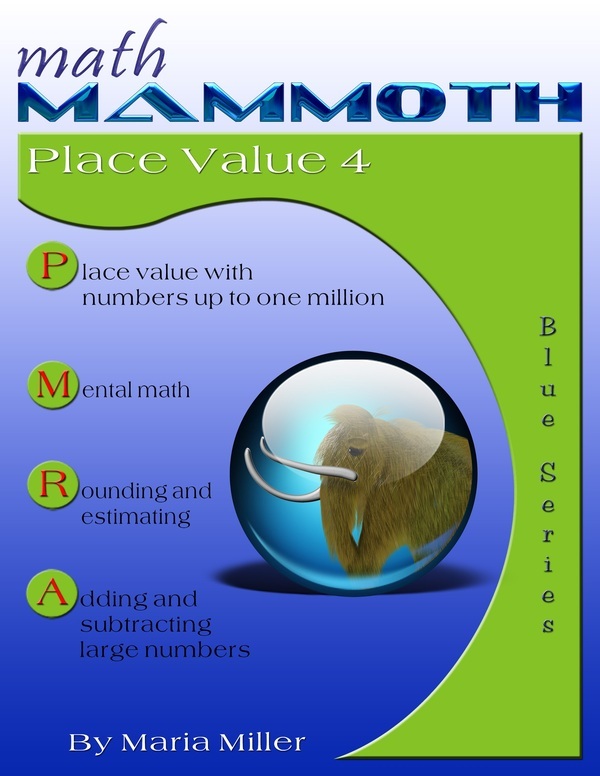 In Math Mammoth Place Value 4, the focus is on place value with thousands, ten thousands, and hundred thousands. We also study numbers with millions a little. The book is most suitable for third or fourth grade. The first lessons only deal with thousands or numbers with a maximum of four digits. 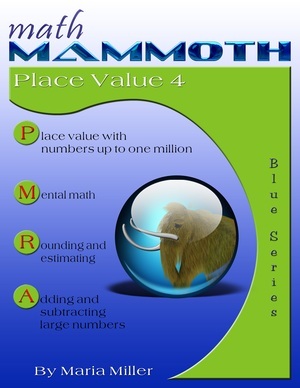 These are for review and for deepening the student's understanding of place value. It is crucial that the student understands place value with these numbers before moving on to larger numbers. Yet again, these larger numbers can be very easy as long as the student understands the basics of how our place value system works. The lesson More Thousands then introduces numbers beyond 10,000. After learning these larger numbers, we also study addition and subtraction, comparing, and the idea of multiples. Besides column-form addition and subtraction, the book also contains a lot of mental math problems. In studying mental addition and subtraction, the similarities to adding smaller numbers are stressed, which helps the students to understand how to add/subtract these bigger numbers.